This past Tuesday, I made it official. I made a facebook event for the classy cocktail party Danimal and I are throwing on New Year's Eve. Tons of people have already confirmed. Danielle and I have brainstormed the signature cocktail we shall make. We have discussed menu options. All that's left is the clothes. Ahhh, the clothes. It's like it was fate. Tuesday afternoon (after I had created the fb event), I had some time to kill. So I headed over to my favorite thrift store, For Pet's Sake, to see what kind of treasures awaited me. I had no idea what would be in store. As I walked in, things seemed as usual, old 80's business suits and moms jeans galore. Though, as I begun my normal store excavation, something popped out from behind a slutty Rue 21 dress. 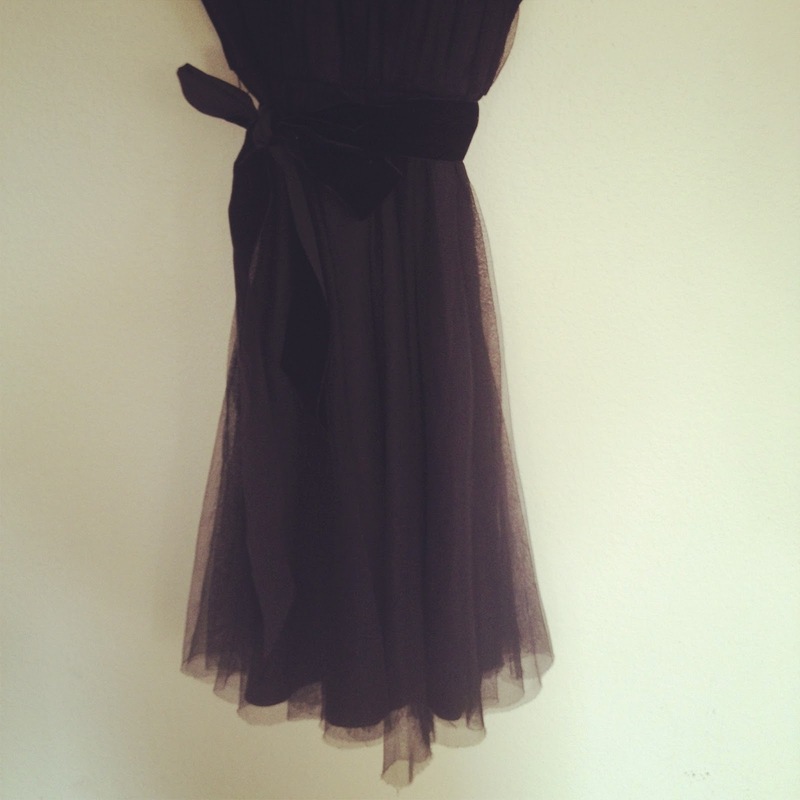 It was tulle...and velvet...in dress form! My heart went pitter patter. I pulled the dress out to get a better view and how gorgeous it was. From Banana Republic and in my size? Thank you Jesus I thought. I tried it on and it fit like a glove. I checked the price...$20. Yowza! That's a lot for a thrift store purchase, but it was brand new and perfect. One of a kind. 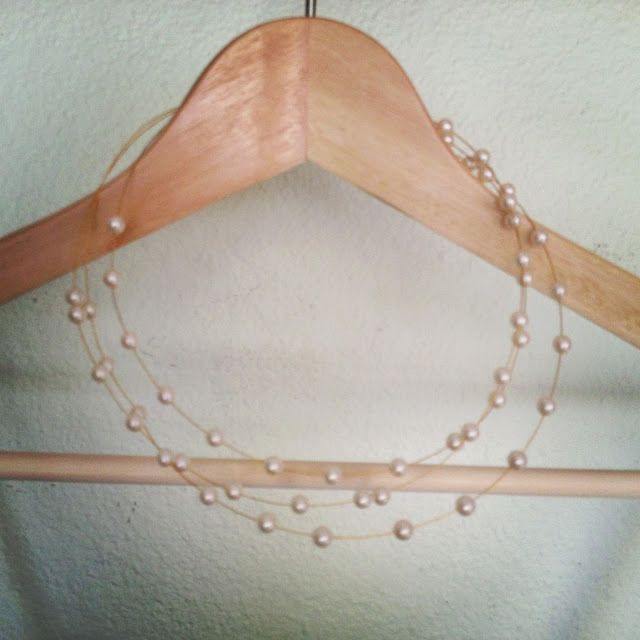 So I did it, and as I did it, I found a real pearl necklace to go with it for only $4. Damn it's hard to be a gangster. 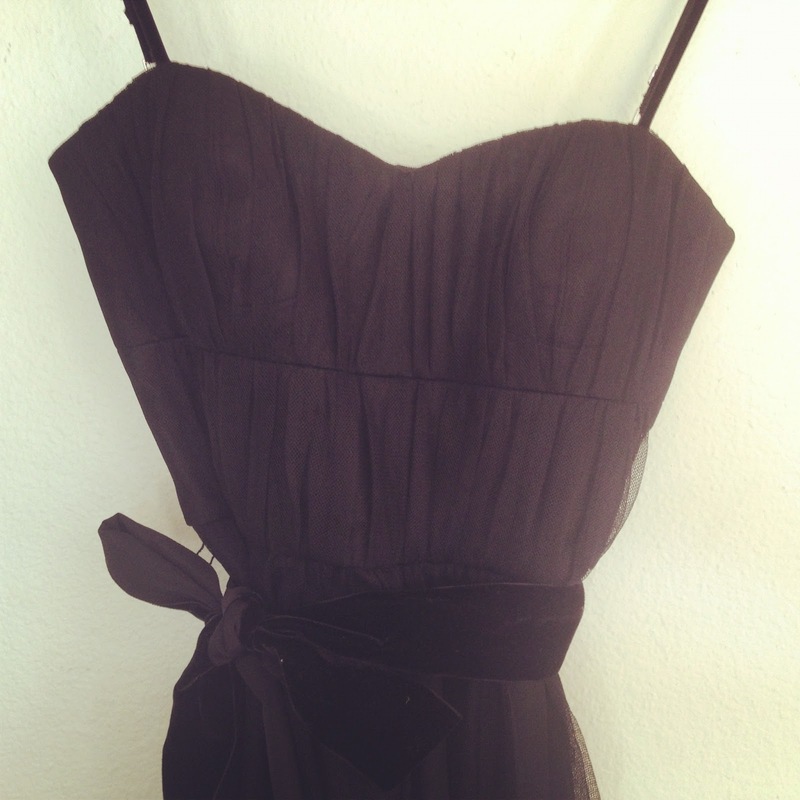 I can't wait to wear my thrifted cocktail dress to our classy NYE cocktail party. I shall be the hostess with the mostest. O.M.G. GORG. Ahhh I don't know what I will wear to your classy cocktail party. I have a question - do you feel you absolutely must wear tights for an NYE party in Colorado? so excited for new years now!